If you have ever had a yearning to sleep in a castle, Spain has several options for you, all over the country. The Paradores of Spain are unique and luxurious hotels, many of which are set in castles, palaces and monasteries. In this article, I am concentrating on five of the top castle hotels but a later article will feature some of the other recommended Paradores. While some may be out of the reach of many due to tariffs, the hotel chain often has special offers and should you wish to stay in a castle for a night, this is definitely possible. Even one night will give you a sense of the history of the castle and the experience of a lifetime while sleeping in comfort and dining in style. You can also become an "Amigo" of the Paradores to achieve better rates and special offers. The idea of the Paradores came in 1910 when the Spanish government decided to create a unique hotel infrastructure. The first-born was the Parador de Gredos, up in the Gredos Mountains, offering beautiful views over the landscape and bringing tourism to the area. There are now more than 90 Paradores, located all over Spain to choose from, all rescued from ruin by the government and made to represent the historical and cultural heritage of the country. What’s more, besides the luxurious accommodations, the hotels offer restaurants serving the local gastronomy with a great selection of Spanish wines. See some alternative views of the selected Paradores in the video included above. 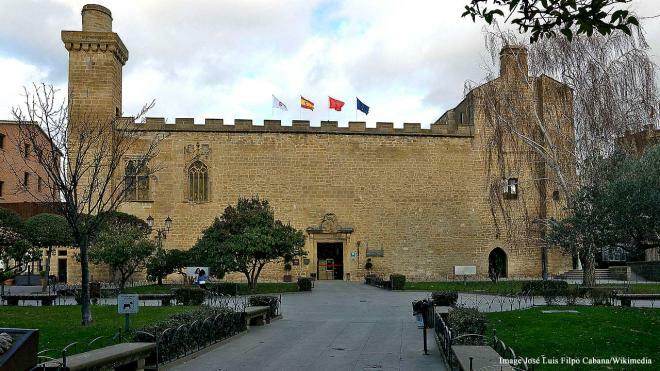 The Parador de Olite is set in a portion of the Palace and Castle of Olite, a national monument in Spain. The common areas and a number of guest rooms are located in the original building, where beautiful stained glass windows can be seen along with other medieval features. The surrounding narrow streets of Olite give a view on Roman walls and in August each year, a costumed Medieval Festival is held, taking the town back to the Middle Ages. 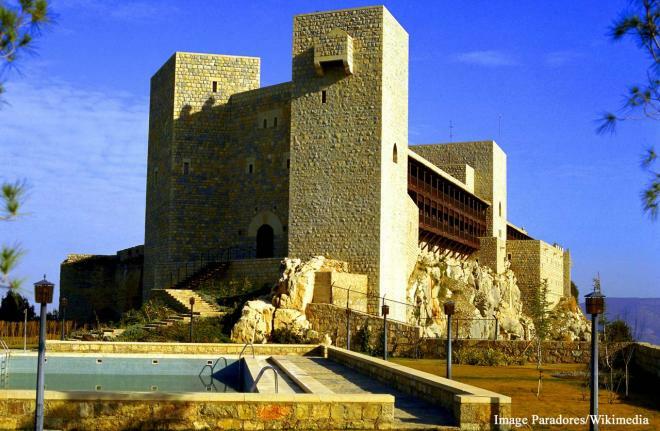 The Parador de Jaén stands proud on the top of Santa Catalina Hill. The interior of the hotel has retained its monumental appearance, including a spectacular cross vault, 20 meters in height. The dining room and all guest rooms offer views over the city. The surrounding Barrio Antiguo (Old Quarter) is a fascinating visit with its Arab baths, the San Lorenzo Arch, the Cathedral and the Provincial Fine Arts Museum. Explore the surrounding Sierra de Cazorla Mountains and the Guadalquivir River.